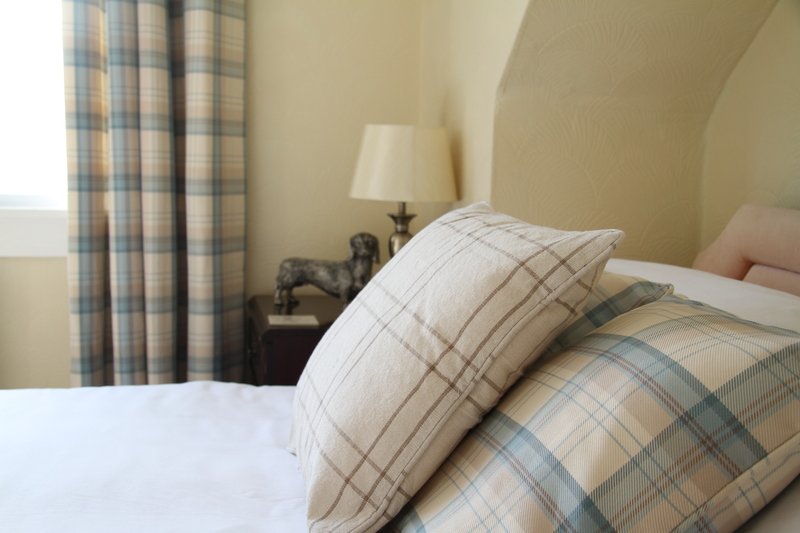 Our Twin Room enjoys views over the garden and is situated at the rear of the house, on the 1st floor. Tastefully decorated providing a lazy summer feel with en-suite facilities and 100% Egyptian cotton linen. 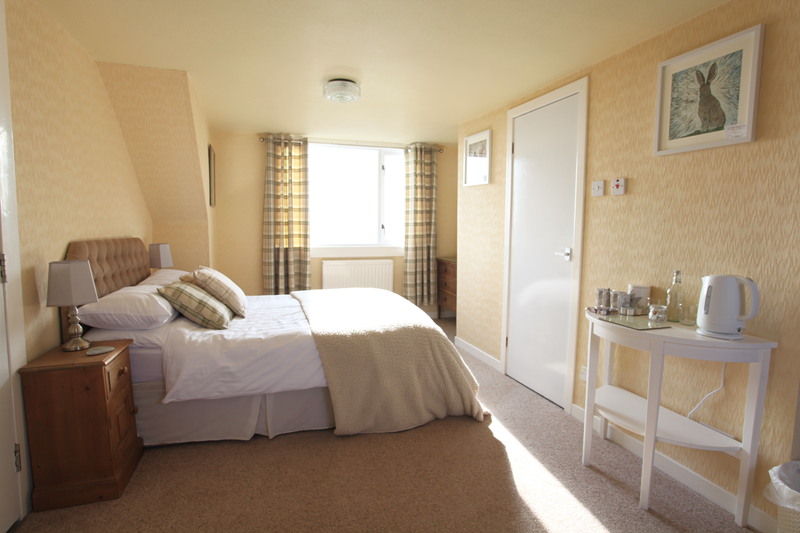 Our Double Room enjoys views over the garden and is situated at the rear of the house, on the 1st floor. Tastefully decorated, providing a bright sea feel with en-suite facilities and 100% Egyptian cotton linen. Our Large Family Room enjoys dual aspect views over the garden and out across the Wigtown Golf Course, into the bay. 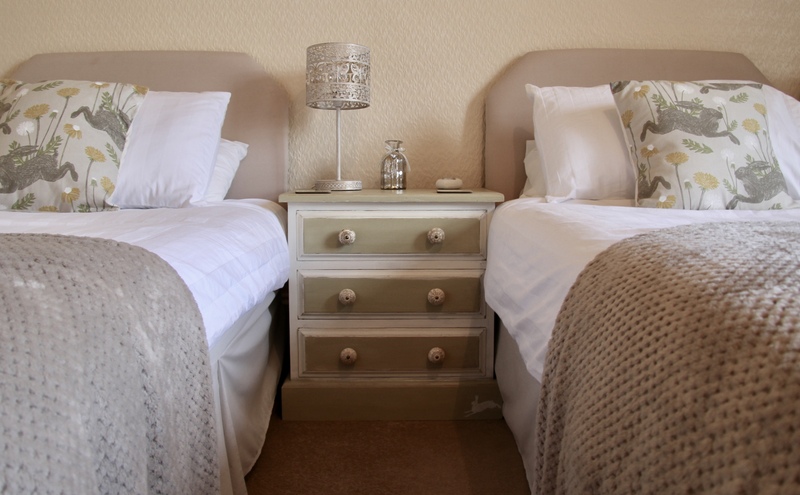 A large Double Bed plus a Single or Twin can accommodate up to 4 people (maximum of 3 adults). A travel Cot is also available. Full en-suite facilities and 100% Egyptian cotton linen. Our Large Family (Dog Friendly) Room enjoys views over out across the Wigtown Golf Course and into the bay. 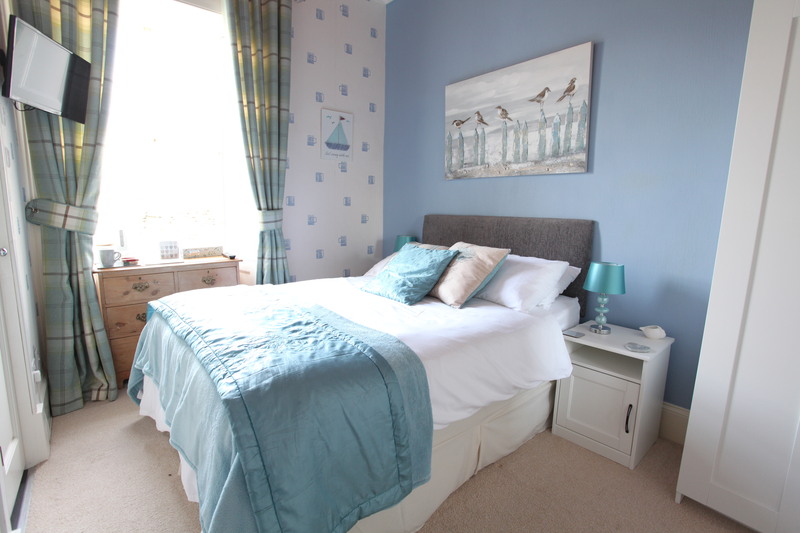 A large Double Bed plus a Single (upon request) can accommodate up to 3 people. A dog bed with treats, snacks and dog bowls is also available. Full en-suite facilities and100% Egyptian cotton linen.